Although today, Brazil’s proclivity for exporting hot beauty trends, Victoria’s Secret models and good music has made it commonplace for Americans to treat their tresses with formaldehyde and their nether regions with wax while humming along to a Sérgio Mendes remix, there was a time when a lot of the country’s pop music was imported. But the surge of new and evolving musical genres in Brazil during the 1960s put an end to that, and amid the smooth sounds of bossa nova and robust rhythms of samba emerged a new brand of pop pioneered by eternally influential musicians like singer-songwriter Gilberto Gil and psychedelic rock band Os Mutantes. Though Os Mutantes was but a nascent band of teenagers, started by brothers Sérgio Dias and Arnaldo Baptista in 1966, the life span of the music they created over the next 10 years is still reaching forward. With artists like Beck dedicating original songs to them, of Montreal covering their music and McDonald’s featuring the band’s tracks in advertisements, the influence of the music that this motley crew of teens recorded in the late ’60s is still apparent. Os Mutantes—the band’s name in their native language of Portuguese—translates to The Mutants. And mutating is what the group literally did in order to stake out their territory in the ripening musical landscape of the ’60s. 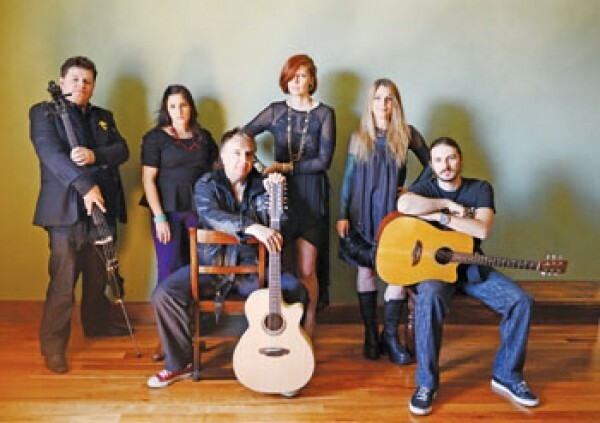 Since electronic instruments were not available in Brazil, Os Mutantes adapted acoustic equipment to make its own versions of electric gear. At the time, Os Mutantes was developing its own original strain of sounds by ingeniously customizing items they had, like converting an acoustic guitar to electric by using parts from a record player. Today, Os Mutantes uses plenty of out-of-the-box instruments because, true to form, the band has undergone many transformations over the years, including multiple personnel changes, leaving Dias as the only original member. The music of Os Mutantes’ recent album, Fool Metal Jack, which dropped April 30, bears little resemblance to the music of the band they once were—though it still has the same spirit, it’s a totally different animal. With new members, a darker sound and—with the exception of “Eu Descobri,” penned by Gilberto Gil—all English lyrics, Fool Metal Jack sounds like the work of a different band. Dias, however, feels that at its core, Fool Metal Jack is just another variation of Os Mutantes. One thing that the past 40-plus years haven’t changed about Os Mutantes is using improvisation as its operational home base. Days before the first show of the band’s North American tour, Dias says he still doesn’t know how he’ll be performing the new material. Perhaps the new album will not live as a theatrical performance across venues in the United States, but the continuation—or honorable ending—of Os Mutantes’ evolution definitely will.